When you think about the types of food that have strong associations with a particular place or country, what do you think of? British fish and chips, maybe, or American hotdogs? What about French crepes or Belgian waffles, Spanish churros or an Italian espresso? There’s a subtle theme here…these are all fast foods, street foods, food that you eat as a snack or an impromptu meal. Often, it’s these accessible and very available foods that leave the biggest impression on the visitor and come to form such a strong part of a place or country’s identity and fabric. This food, as insignificant as it may seem, is the heart and soul of many a place. In South East Asia, the connection between quick street food and identity is even stronger. Somewhere like Thailand seems to run fuelled on noodle soups slurped from bowls served from rickety carts on every street corner. I really get the feeling that a city like Bangkok would just grind to a halt if the street vendors went on strike, which of course, they never would. During this year’s pro-democracy protests in Bangkok, the only people allowed to move freely between the different factions and the police and military were noodle vendors pushing their carts. Thompson has some pedigree in this area, having opened the first and only Thai restaurant to win a Michelin star in London in 2001. 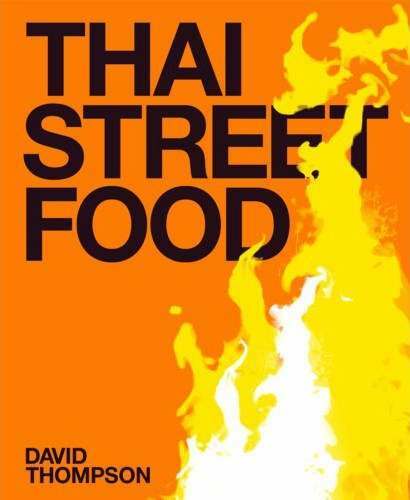 Earlier this year, he made the audacious move of opening a restaurant in Bangkok. This isn’t as big a gamble as it seems – Thompson is widely known and respected in the Thai restaurant business as a world-leading expert in the field. If anybody can cook Thai food to the satisfaction of the Thai people themselves, Thompson can. this would only be half the achievement it is without Carter’s contribution. As with a lot of Thai cooking, Thompson’s recipes look daunting. There are long lists of obscure ingredients, but remember that this food originates on the street, knocked together in very limiting surroundings using basic equipment. It would be disingenuous to suggest that this makes this type of food easy to cook – some of it definitely is, but some of it isn’t…some of it is complicated and practised by street cooks who specialise in cooking just one recipe blisteringly well. With all that practise comes perfection. This mustn’t put the bold amateur off. There are accessible recipes here, noodle stir frys and soups, alongside some more complicated curries that take a precise hand and a keen palette to accomplish properly.
. 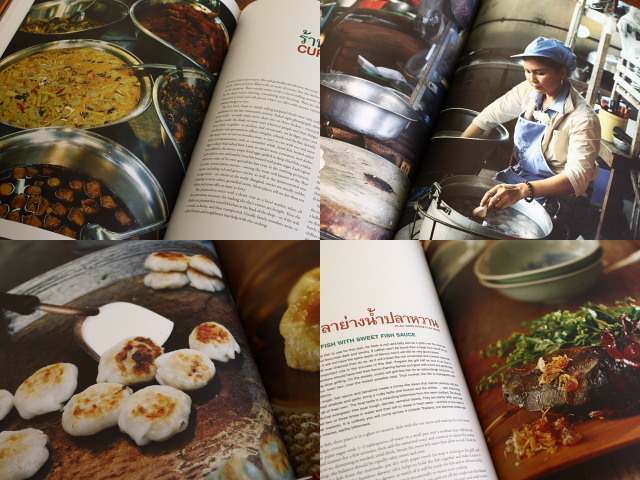 The first is because it’s simply a stunning object with photography that transports the reader and recipes to match, the second is because Thompson’s food is real Thai, reflective of thousands of years of culinary tradition and practice. It’s a huge achievement, and worthy of a place on any bookshelf. If you’ve got a bookshelf big enough for it, that is. Sounds like another book for the working part of my cook book collection. I had no idea that the noodle vendors were able to move freely during the protests. That's amazing. I was in Brazil in September and I noticed how street food changed based on location, on what part of the country I was in. Street food is the best, in my opnion. I think you're right it does reflect the heart and soul of the country where it's created. This sounds like a really good find. Thanks for sharing such a great and informative article. view or comments from the eyes from foreigner who know so much about Thai. It's true that some of the ingredients are quite obscure, but you should be OK if you find a decent Asian or Chinese grocer. The publishers have come to their senses and made a smaller version (with respect to size of the object) of this impressive tome.